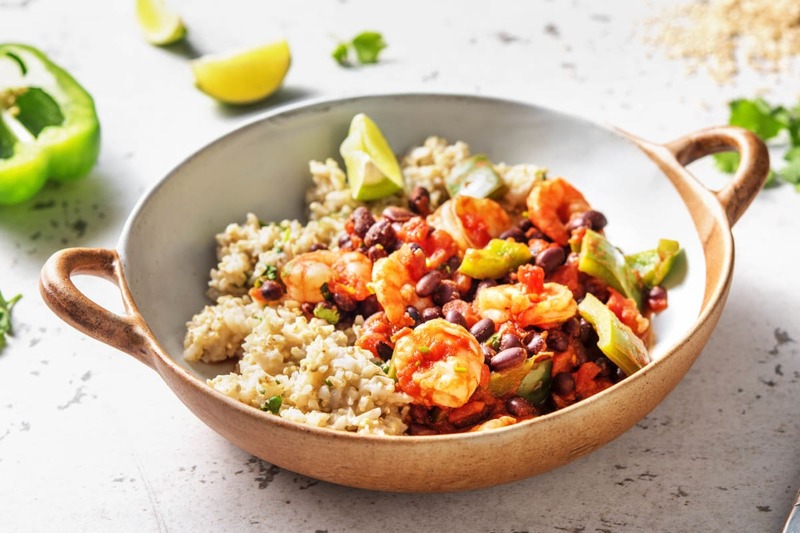 Vibrant, fresh, and wholesome, our 15-minute prawn and black bean curry is the perfect thing for busy evenings. 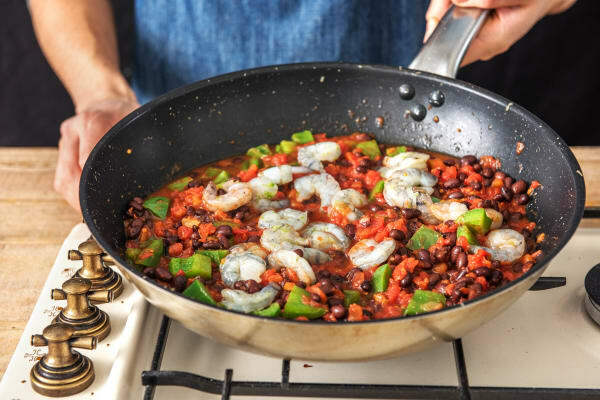 King prawns, black beans and green pepper are combined in a rich tomatoey sauce and seasoned with our specially blended Caribbean Adobo spice (a fragrant mix of white cumin seeds, red chillies, fennel seeds and oregano) for a taste that will take your curry game to the next level. 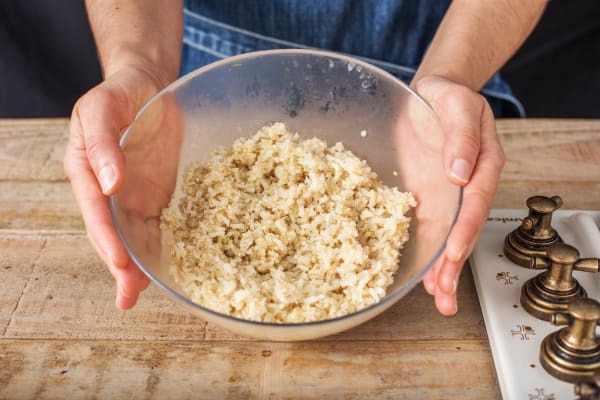 Served with nutty brown rice and quinoa to keep you feeling full and satisfied, and finished off with a squeeze of fresh lime, it’s a great dish to enjoy for a nourishing mid-week dinner. a) Halve the pepper and discard the core and seeds. Chop into small pieces. b) Roughly chop the coriander (stalks and all). Zest and cut the lime into wedges. 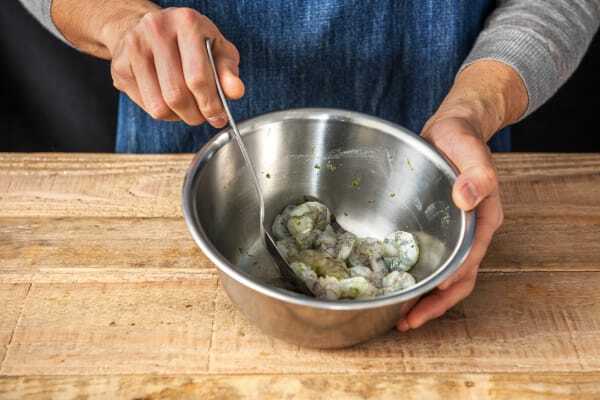 c) Pop the prawns and the lime zest in a bowl with a pinch of salt and pepper. Toss to coat, then set to one side. a) Heat a drizzle of oil in a large frying pan over medium-high heat. b) When hot, add the chopped pepper and stir-fry until softened and slightly coloured, 4-5 mins. c) Drain and rinse the black beans using a sieve. 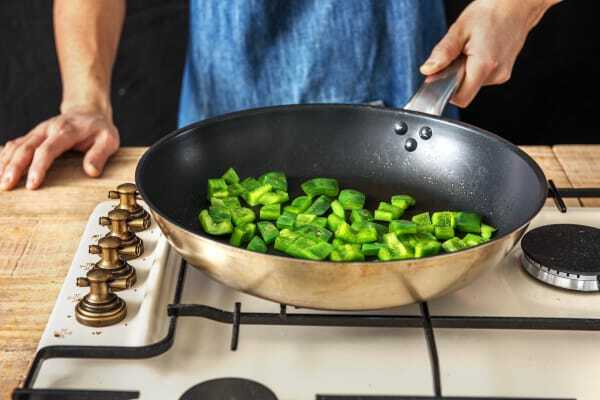 a) Once softened, stir the easy ginger and Caribbean abodo spice into the pan. 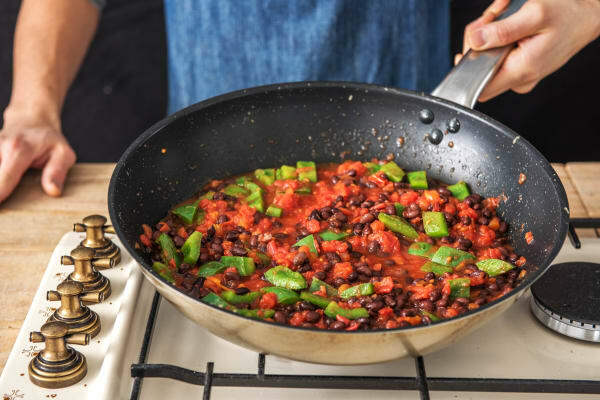 b) Cook for 1 minute then add the beans, finely chopped tomatoes and stock powder. c) Stir to dissolve the stock powder. Bring to the boil, then reduce the heat. a) Stir the prawns into the sauce. Cook, stirring occasionally, 3-5 mins. b) IMPORTANT: The prawns are cooked when pink on the outside and opaque in the middle! a) Cook the brown rice and quinoa according to pack instructions. a) Once the your prawns are cooked, stir half the coriander into the sauce. b) Pop the rice into a large bowl and mix in the rest of the coriander and squeeze in the juice of half the lime. 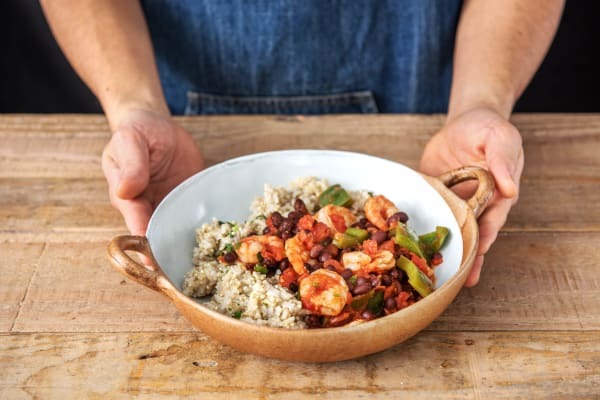 c) Divide the rice between your bowls with the prawn and black bean curry spooned on top. Serve with the remaining lime wedges.